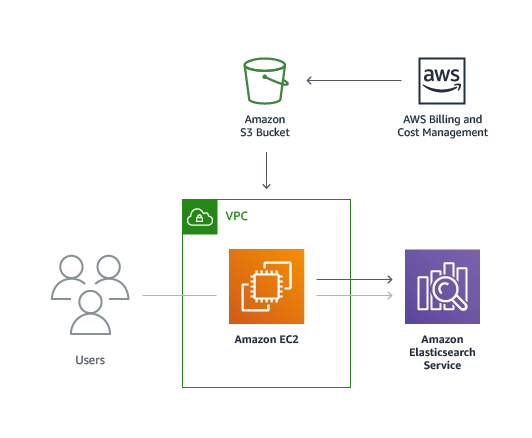 Amazon Web Services (AWS) enables customers to generate reports to gain insight into service usage and costs as they deploy and operate cloud architectures. These include detailed billing reports, which customers can access in the AWS Billing and Cost Management console. These reports provide estimated costs that customers can break down in different ways (by time period, account, resource, or custom resource tags) in order to help monitor and forecast their monthly charges. Organizations can analyze this information to help optimize their infrastructure and maximize their return on investment. This guide provides infrastructure and configuration information for planning and deploying the Cost Optimization Monitor, which helps customers analyze their billing report data using Amazon Elasticsearch Service (Amazon ES) and its extended search, visualization, dashboard, and reporting capabilities. This AWS-provided, automated solution leverages AWS managed services, enabling deployment in a highly available and affordable way. The information in this guide assumes basic knowledge of web, application, and operating system log formats. It is also helpful to have a working knowledge of Amazon Elasticsearch Service (Amazon ES) and Kibana for creating and customizing your own visualizations and dashboards. You are responsible for the cost of the AWS services used while running this reference deployment. As of the date of publication, the cost for running the Cost Optimization Monitor with default settings in the US East (N. Virginia) Region is as shown in the table below. This includes charges for Amazon Elasticsearch instance hours and storage, Amazon EC2 usage and licensing, and Elastic Load Balancing base pricing. This pricing does not reflect variable charges incurred from Amazon Simple Storage Service (Amazon S3) and Elastic Load Balancing data throughput. For full details, see the pricing webpage for each AWS service you will be using in this solution.